SALEM -- One down, 87,212 to go. Rep. Greg Smith, R-Heppner, has kicked off a petition drive to place an initiative before voters that calls for the state to recognize hydropower as a renewable energy source. 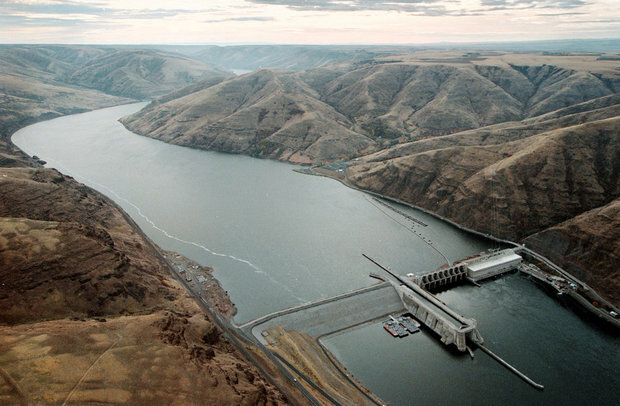 "I would argue that hydroelectric is the cleanest power source in the state of Oregon," Smith said. "And I think when the voters of Oregon have an opportunity to look at the Affordable Renewable Energy Act, they are going to agree." Smith said hydroelectric power, generated from dams, is the No. 1 source of electricity for Oregon, providing more than 40 percent of the state's electricity. In some regions, such as his Eastern Oregon district, hydropower can make up as much as 80 percent of a utility's energy portfolio, he said. Classifying hydropower as a renewable energy source would help keep rates down for homeowners and industrial users, he said, because utilities wouldn't be forced to buy more expensive power categorized as renewable. "This is the right thing to do for the state of Oregon, for building our economy, for supporting agriculture, for supporting industry, but most importantly, for supporting mom and pop in their home as they look at their power rates to try and keep power affordable for all Oregonians," Smith said. Hydroelectric power currently costs about 3 to 3 1/2 cents a kilowatt-hour, Smth said. "If you look at wind energy or solar, it is significantly higher. It is usually 12 to 14 cents, all the way up to 19 to 21 to 22 cents, depending on the renewable source. "I think it is a fair argument that hyrdro is just as renewable as wind or solar," Smith said. "I'm not denegrating wind or solar," he said. "I think there is a place for all energy. But the reality is, we need to make sure that hydro gets even consideration." Smith said he will start the signature drive by bringing the petition to his counterparts in the Republican Caucus. "And I'm hoping that many Democrats will cross party lines in joining me as well," Smith said.